Hulu Plus, one of the leading online video sites for current run TV shows might soon be available on the Android tablets. However there seem to have only a few devices which will actually be capable of supporting the application. After the online streaming services were slowly and randomly rolled out to Android phones we could estimate that it might take a bit of time for the service to be available on the tablets. Now as the support for the service is questionable on some of the devices so, a list of devices which will be capable of supporting the video streaming has been forwarded. The list includes Asus Eee Pad Transformer Prime, Asus Eee Pad Transformer, Motorola Xoom, Motorola’s XYBoard 10.1, Toshiba’s Thrive, Acer Iconia and LG’s G-Slate. According to Hulu, the seven device mark is just the beginning of their Android tablet roll out. So we may expect some update on the service which might also allow the other Android tablet users to get a chance streaming the online videos with Hulu. However they have not sited any kind of date with which we can relate the update for other Android tablets. 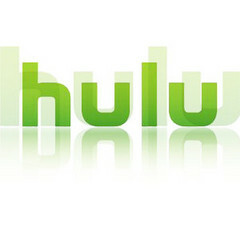 The iPad owners however are using the Hulu service for about a year by till now. The delay in the release of the service in the Android platform might be because of the hardware fragmentation, with which each tablet running a different combination of Android version number, processor and even displays and layout.